Wash & Go for Action Man? ?- BLOOD FOR THE BARON!!! Wash & Go for Action Man?? Sellotape works well, I've found. Just had a look in a Action man collectors book, the author recommends carefully scraping the hair with a pen knife blade...for cleaning the face, use a cotton bud & nail varnish remover but avoid any painted parts (like the lips & eyes) as it will damage them. Thundershot wrote: Just had a look in a Action man collectors book, the author recommends carefully scraping the hair with a pen knife blade...for cleaning the face, use a cotton bud & nail varnish remover but avoid any painted parts (like the lips & eyes) as it will damage them. when you mentioned sellotape did you mean put it on the hair then pull it off? 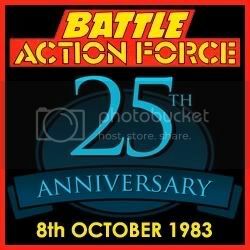 oh and whats the full title of the action Man book you have and is it worth gettin? After watching Toy Story 2 just now , I consider myself an expert in these matters. My advice, pay an old man to do it. scoobydie wrote: After watching Toy Story 2 just now , I consider myself an expert in these matters. pay an old man to do it? ok this is a bit like the A Team where do i find this old man! He may be at the cinema on monday 19th depending if he is in the new film.